WatchLet's Learn Teradata Lesson 30: How Many Partitions Allowed? WatchLet's Learn Teradata Lesson 37: Altering a PPI and Other Helpful SQL for DBAs! WatchLet's Learn Teradata Lesson 38: A Deeper Look at No Primary Index Tables! WatchLet's Learn Teradata Lesson 39: Columnar Tables! 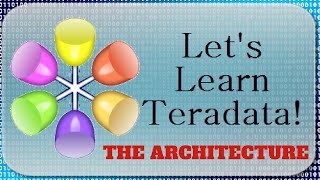 teradata tutorial, teradata learning, free teradata tutorial, teradata 13 tutorial, td tutorial.